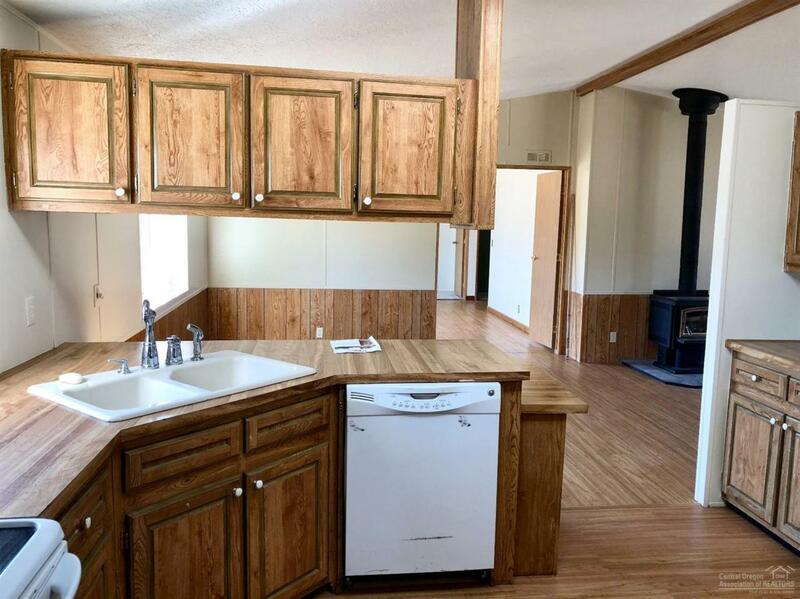 Country living in 1782 sq ft mfd home & shop is 1440 sq ft. 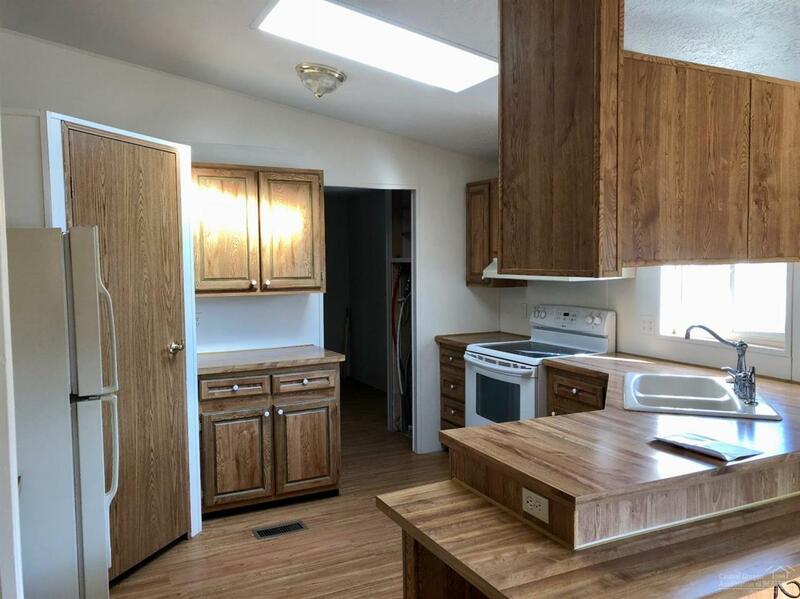 Spacious 4 bed/2 bath, open floor plan with vaulted ceilings, lovely kitchen with pantry, generously sized (split) bedrooms, fresh paint inside, nice wood stove in living room, & a large family room. Open span shop is 1440 sq ft with cement floor. 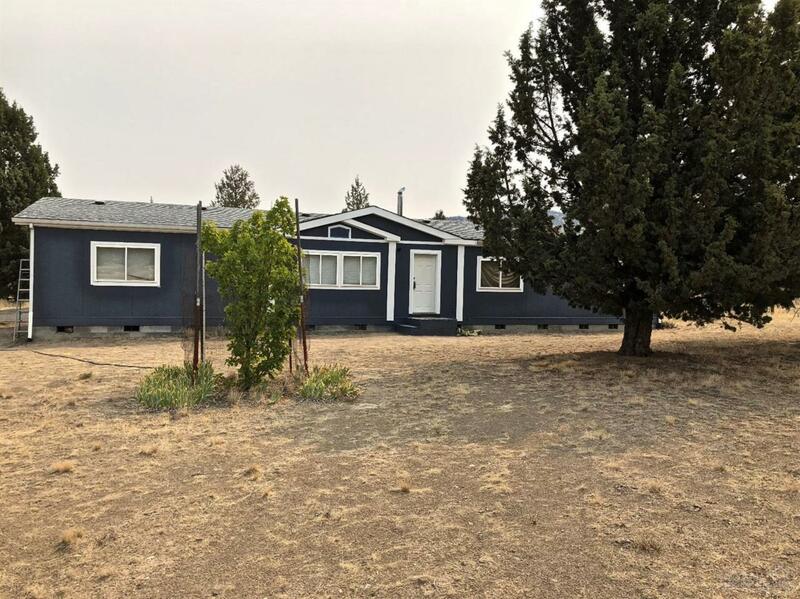 Property is fenced on 3 sides, has an area for a garden & a nice circle driveway, all on about 1.6 acres & about 5 miles from Prineville. 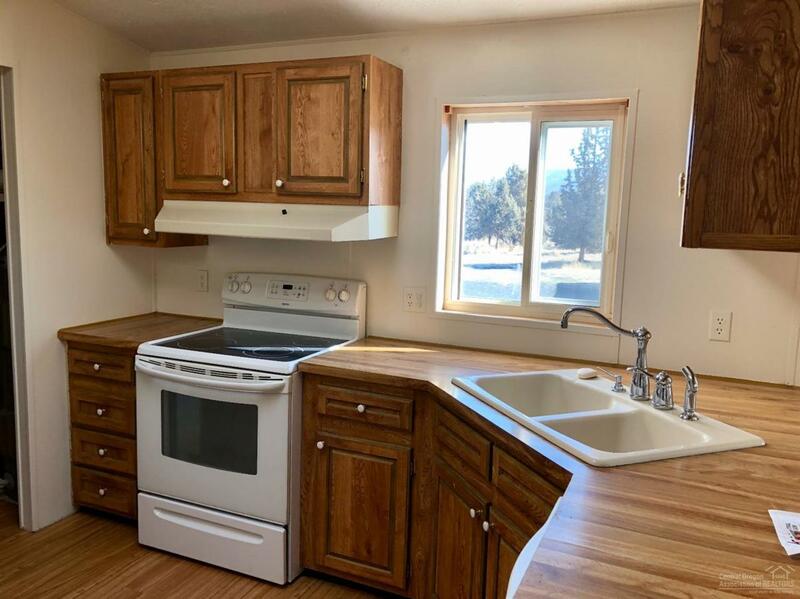 located on the Highlands Subdivision with all paved roads.